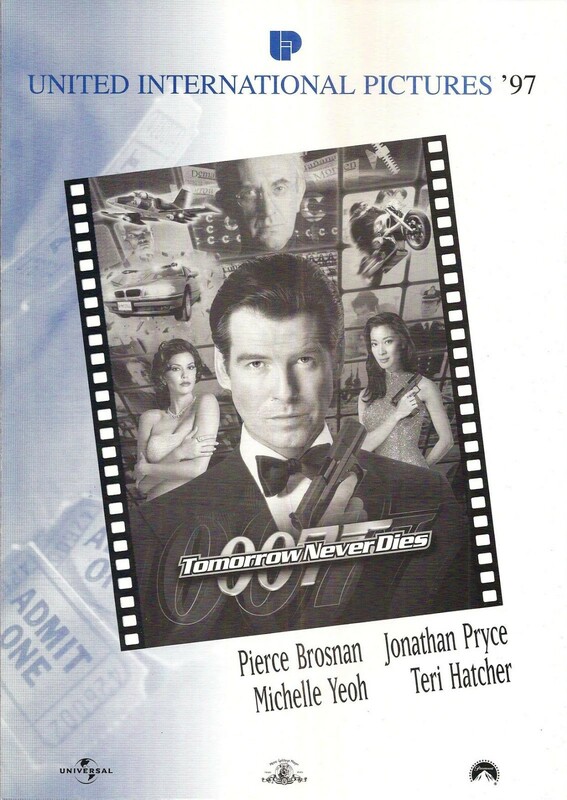 Around the time of the worldwide release of "Tomorrow Never Dies" in 1997, Danish model and actress Cecilie Thomsen appeared the NBC talk show "V.I.P." hosted by Selina Scott . Here Thomsen chats about her part as Inga Bergström in the James Bond 007 film, her modeling career, her relationship with singing star Bryan Adams among other things. James Bond•O•Rama.dk would like to apologize for the poor video quality. ● Visit the James Bond•O•Rama Vimeo page for more rare 007 videos! 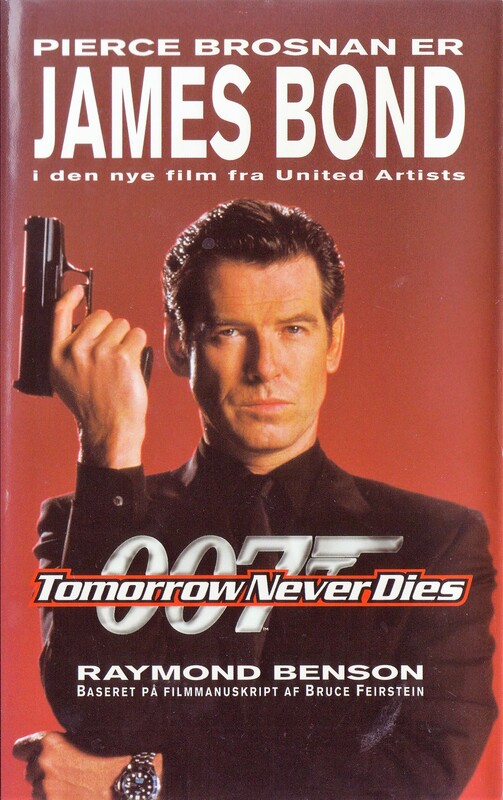 In 1997 Pierce Brosnan appeared in this Danish print ad campaign for Ericsson's JB988 cell phone as used by James Bond 007 in "Tomorrow Never Dies" (EON Productions). Now James Bond strikes again. Smarter, faster and better than ever before. He still drives the nicest car. He is still surrounded by the most gorgeous women. But his weapon is brand new: The ultimate cell phone from Ericsson, developed specially and exclusively for Agent 007. With it, he can transfer top secret data and overcome even the most hopeless situations. 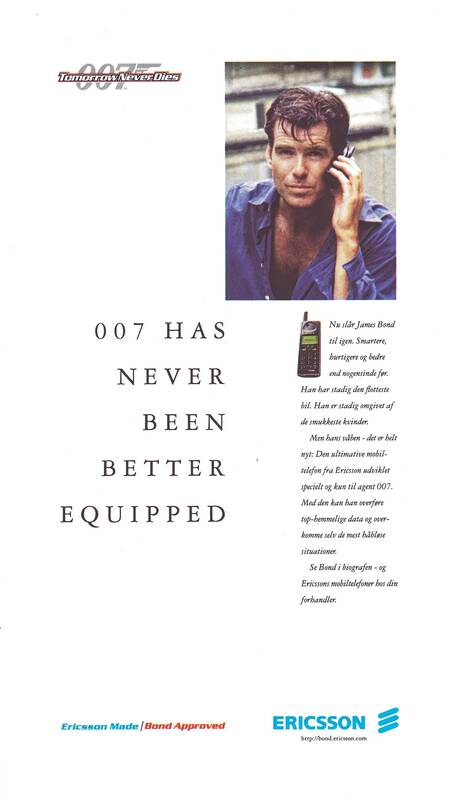 See Bond in the cinemas - and Ericsson cell phones at your local dealership.